From the Lodge on the lock to Tuscany! Raise the roof with a Tuscan wedding! For Italians each meal is a truly feast, something to share with family and friends. If a British person would not drink on his own then an Italian will not in a million year have a meal by himself. 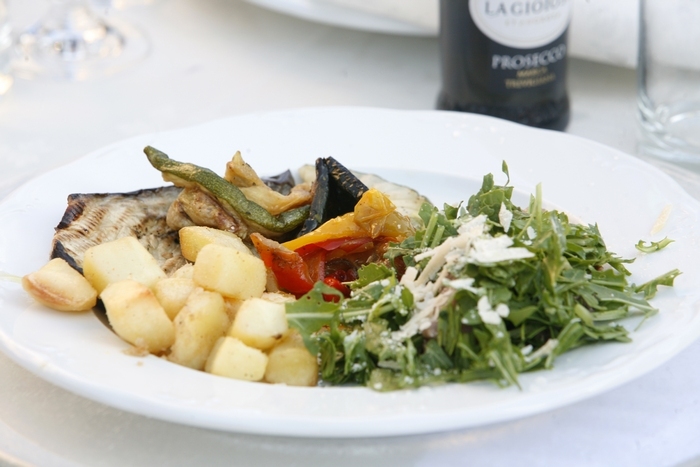 Excellent food is a major part of the Italian lifestyle a way of socialising and bringing friends and family together. It is also a very good reason to have an Italian wedding. Tuscan cuisine in particular has a variety of recipe which combines the simplicity of its peasant origins but the richness of character of its people. You will rediscover the taste of tomatoes gorged with sun, the delight of handmade pasta and the richly flavoured meats. There is always a dish for every palates, whether you are vegetarian, vegan or omnivorous there will always be a traditional dish for you. All these, coupled with outstanding local wines, we feel will ensure a successful wedding party!